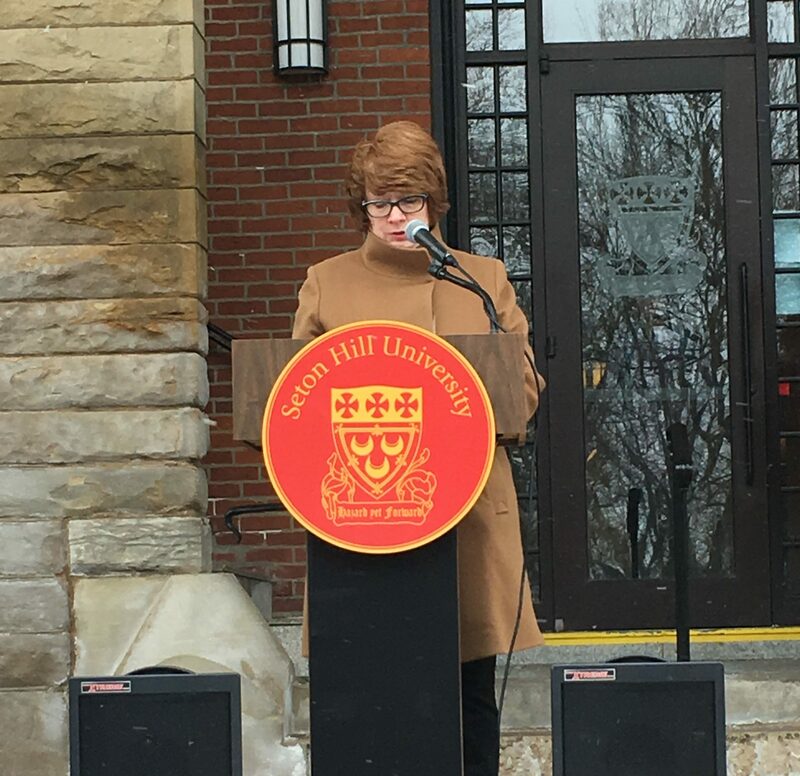 Seton Hill University’s faculty and students stood together in silence as the bell at St. Joseph’s Chapel was rung 17 times in honor of the 17 victims who died in the Marjory Stoneman Douglas High School shooting in Parkland, Fla. on Feb. 14. 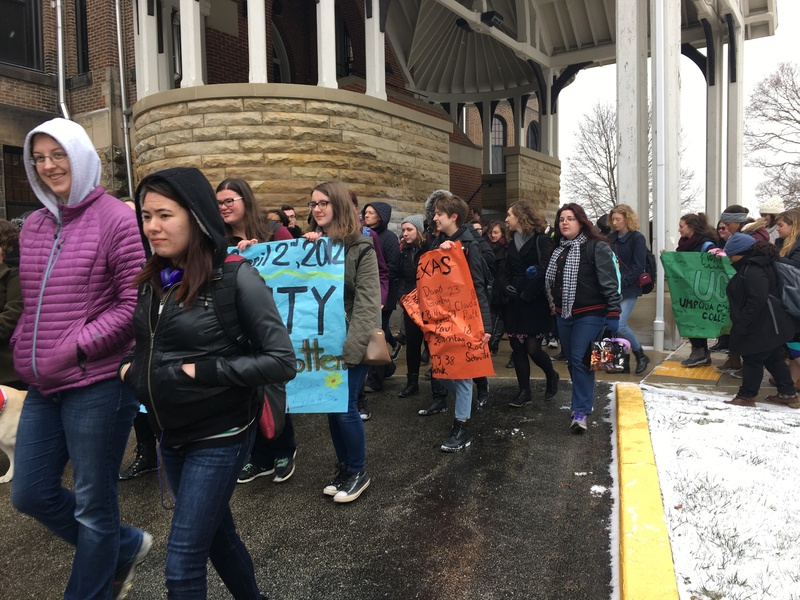 This happened in support of the National School Walkout on March 14, which was organized by the Women’s March Youth EMPOWER to protest Congress’ inaction to do more in response to the gun violence happening in schools and neighborhoods. SHU students and faculty were some of the thousands across the country to participate. On Feb. 14, Marjory Stoneman Douglas High School lost 17 members of their community, three of which were teachers who were protecting their students. Nikolas Cruz, 19, a former classmate, entered the school carrying an AR-15 where he would open fire for approximately six minutes, firing more than 100 rounds. School shootings are not a rare occurrence anymore. According to research by Everytown, a gun safety support fund, there have been 306 school shootings in the country since 2013, an average of one per week. The Center for Disease Control reported in 2016 that nearly 90 percent of public schools have a written plan when responding to school shootings. 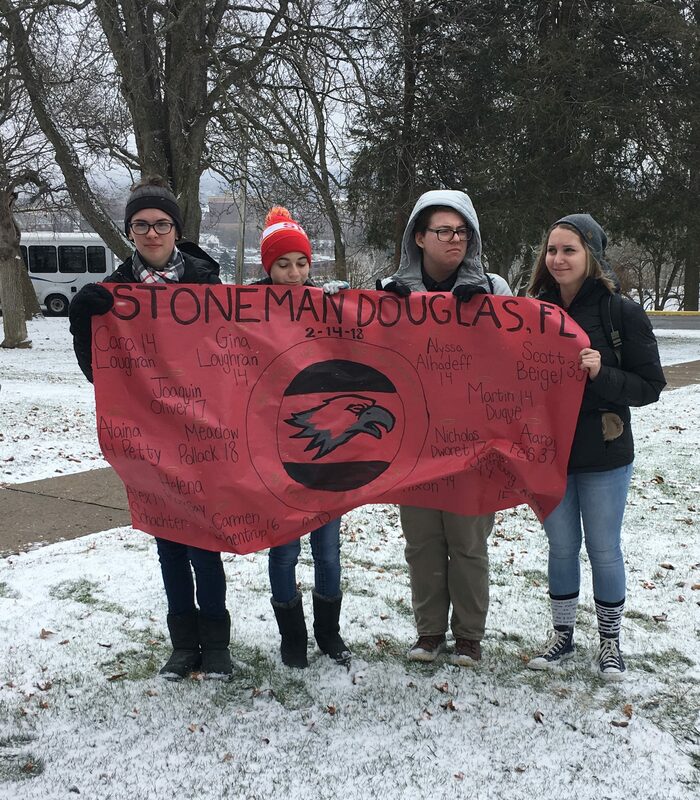 Students hold a banner in memory of the lives lost in the shooting at Marjory Stoneman Douglas High School in February. Photo by L.Cowan/Setonian. SHU encouraged those students who wanted to participate to do so by planning other events alongside the walkout. A table was set up for students and faculty to write letters to their legislation about gun laws in Lowe Dining Hall following the march. A coffee talk organized by Sister Maureen O’Brien and Elise Michaux, director of student involvement, was held in the Campus Ministry Lounge. The panelists who spoke with students about the gun violence issue were Kevin Mosley, a retired state police officer, Darren Achtzehn, director of food services at SHU and Daniel Casebeer, assistant professor of education at SHU. Many other schools encouraged students to participate and provided them with security. Once students stepped off of school grounds, the school no longer had control of the situation. There were other activities that some schools asked students to engage in, like wearing a certain color shirt or a ribbon in remembrance, holding a memorial service for the victims or hosting an assembly about school safety. Though this movement was an important one to many students, not all schools were supportive of the idea. Several schools threatened students with docked grades, suspensions or an unexcused absence if they participated. 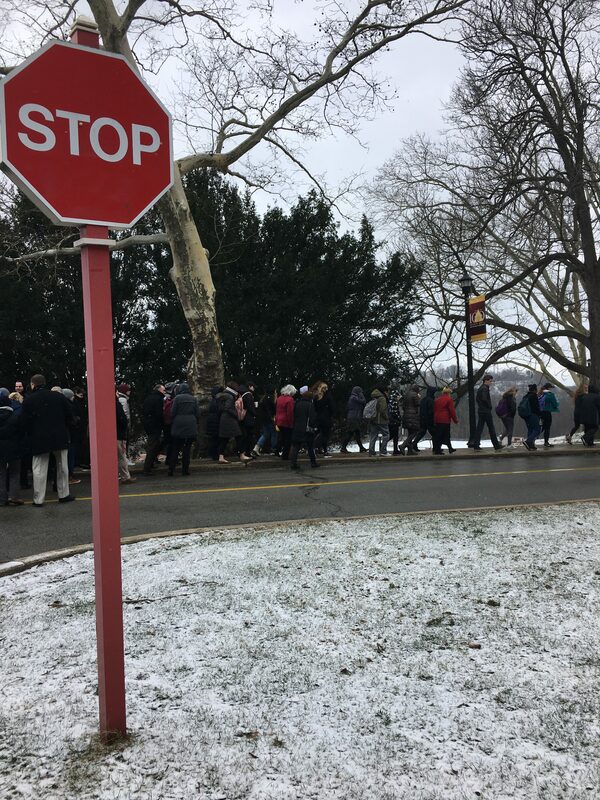 There were other protests planned after this walkout, including the March for Our Lives in many cities around the United States and even overseas on March 24. 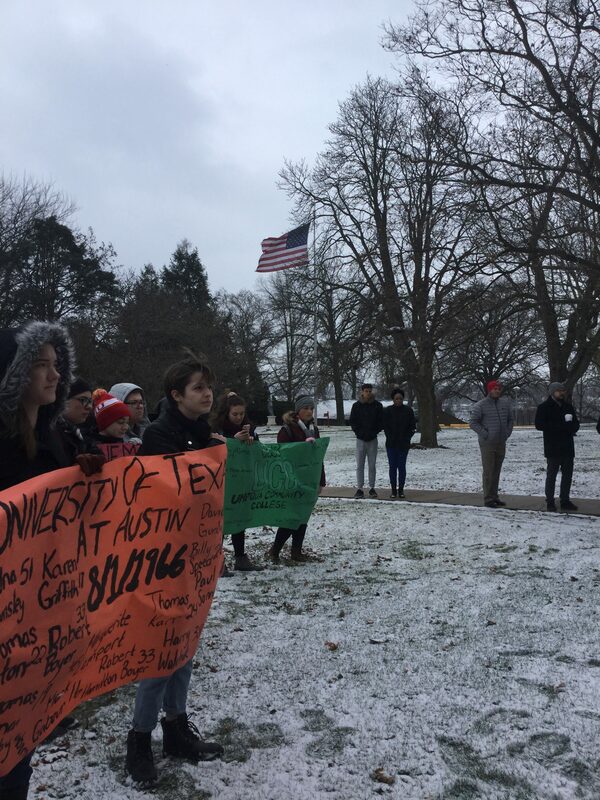 There were multiple speakers, including survivors from Parkland at the march in Washington D.C.
SHU students joined members of the community in the Greensburg march on March 23 outside of the Westmoreland County Courthouse. There is also another walkout planned for April 20, which is the 19th anniversary of the Columbine school shooting. On April 20, 1999, two seniors from Columbine High School shot and killed 12 students and one teacher. They also had plans for a car bomb and had 99 explosive devices that they made. According to the Women’s March Youth EMPOWER website, as of April 5, 49 walkouts and counting are planned for April 20.